Hello! Did you know that Chicken has a human father? 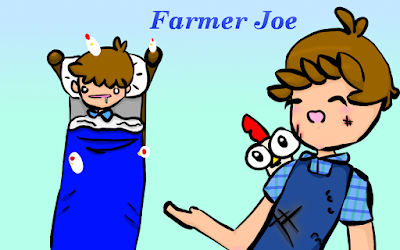 Farmer Joe owns the farm that Chicken was born in and Farmer Joe is very nice to all his chickens. Chicken does visit Farmer Joe, but he doesn't live with him. Chicken is kind of a free bird, you know?